Omaha Steaks is the well known mail-order steak company, run by Omaha Steaks International, Inc., based out of Omaha, NE. They've been around since 1917. I'm not sure for long the company has offered beef jerky, but I remember browsing their website as recently as a year ago wondering if they had any, and at that time I didn't see any. But just a couple of weeks ago I spotted an ad from them for beef jerky. So, I decided to get some. They only have this one flavor, Original. Beef, water, salt, black pepper, sugar, sodium nitrite. The first thing I taste from the surface of these pieces is a smoky flavor, followed by a moderate saltiness. There's also a light meaty flavor. The chewing flavor starts with a stronger saltiness, some natural meat flavors, and a good deal of black pepper. The package actually labeled as, "Original Bold Flavor", and it definitely is "bold" in that it has a strong saltiness and black pepper flavor. 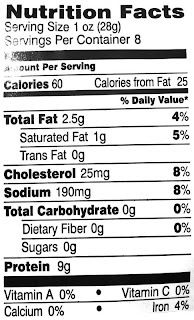 Interestingly, the nutrition label shows a low sodium content of 190mg per 1oz serving, yet this jerky tastes like it has a high saltiness. The natural meat flavors are noticeable, with a noticeable smokiness, though it's not strong enough to overcome the more dominant salty and black pepper flavors. A lot of the saltiness comes from within the chewing, and is why I can't much more of the natural meat flavors. That saltiness tends to make the meat taste more like cured meat, as opposed to a grilled steak. Even though sugar is listed in the ingredients, I can't taste anything sweet. If it hadn't been listed, I wouldn't be able to know. Overall, what you're going to notice is a high saltiness and a strong black pepper flavor, with a lighter smoky, natural meat flavor. This is a dry jerky with a dry surface feel. Some pieces having a soft, pliable feel, and others having a more hard, stiff feel. Tearing pieces apart with my fingers seems moderately easy, while chewing varies between moderately easy to somewhat tough. Ease of chewing seems to range from easy to moderate. The chewing texture starts out feeling woody and dry, with a fair amount of chewing resistance. With some sucking and light biting it seems to chew down to a soft mass in about 15-20 seconds. At that point, it has a very steak-like chewing texture, fibrous, somewhat dry, more like a steak cooked well-done. The pieces seem very lean, seeing no bits or streaks of fat. I found no tendon and no gristle, no stringy sinews and no unchewable wads of tissue. 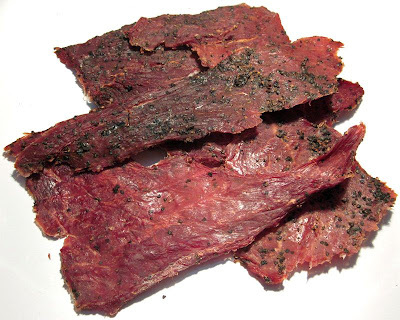 This jerky seems like clean eating, with no residue picking up on my fingers, though some tiny bits of pepper falling off as I tear pieces apart. Omaha Steaks sells this beef jerky from its website at a price of $14.99 for an 8oz package. If you buy two packages, shipping comes to $13.99. That works out to a total of $43.97, or a price of $2.74 per ounce. 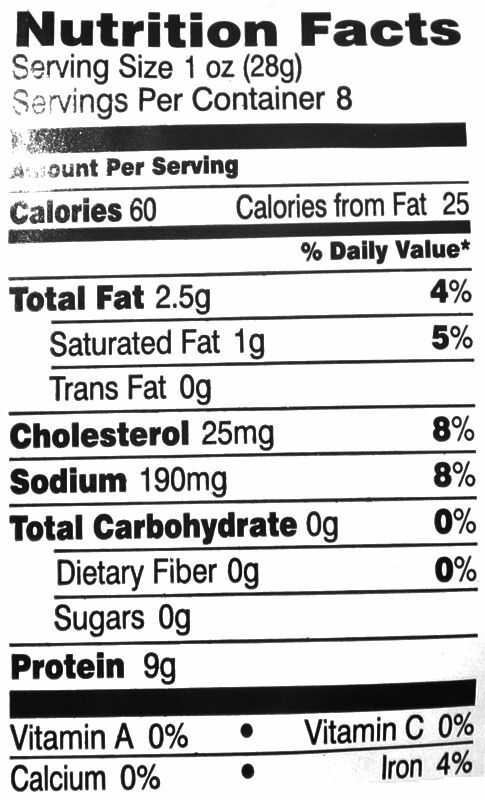 For general jerky snacking purposes, at the $2.74 per ounce price, it seems to provide a fair value. I'm getting a good snackability out of this for its smoky natural meat flavor, good chewing texture, and meat consistency, though a high saltiness. Compared to the major brands of jerky you find in grocery stores, I think it's a better jerky overall, though it's not that much better considering the high shipping fees. 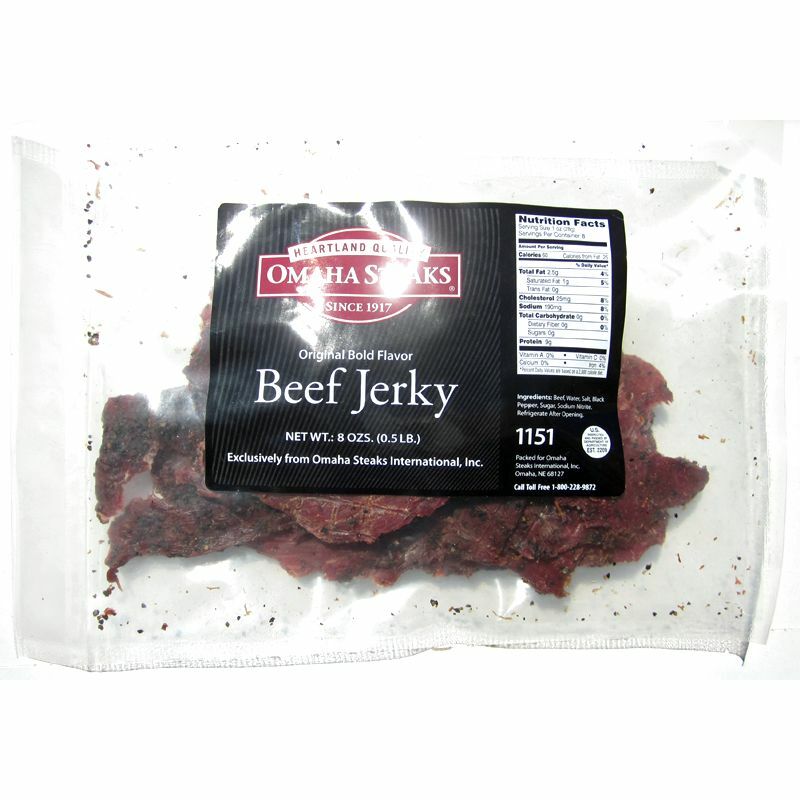 This beef jerky from Omaha Steaks offers a good tasting smoky natural meat flavor, with a lot of black pepper seasoning, though a high saltiness. The saltiness tended to wear on me and after eating several pieces I was ready to stop. But I liked the smokiness and the meat flavors enough I wanted more. 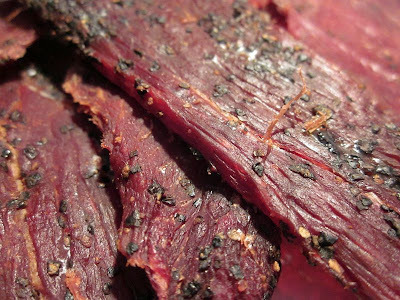 It's actually a very simple jerky, with only black pepper and salt as its seasoning. Otherwise this relies on that smokiness and natural meat flavors, which to me is the whole reason why I love jerky. I think the meat consistency is great, practically no fat, nothing unchewable or gristly, pretty much all meat. And it chews like real meat too. I just wasn't thrilled about the high saltiness. I think a good beer pairing for this is something refreshing with a lighter flavor, try a honey blonde ale such as New Belgium's Skinny Dip, or a malty pale ale like Widmer's Drifter Pale Ale.